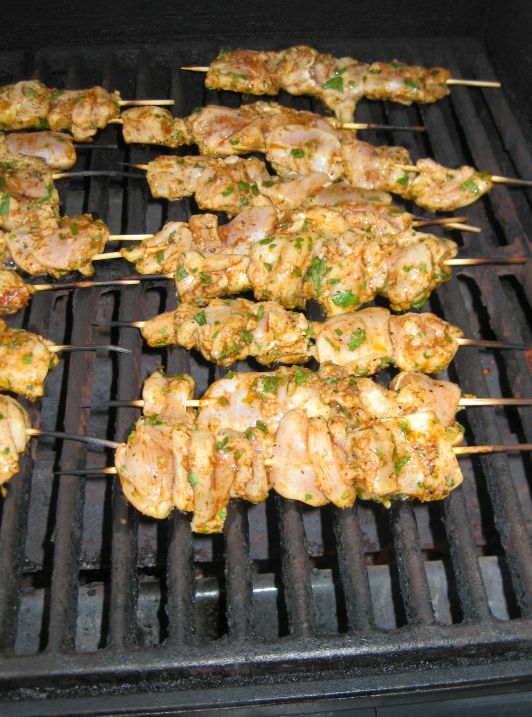 I have a dinner party tonight, on the menu I have BBQ Lamb and Chicken, Moroccan style. 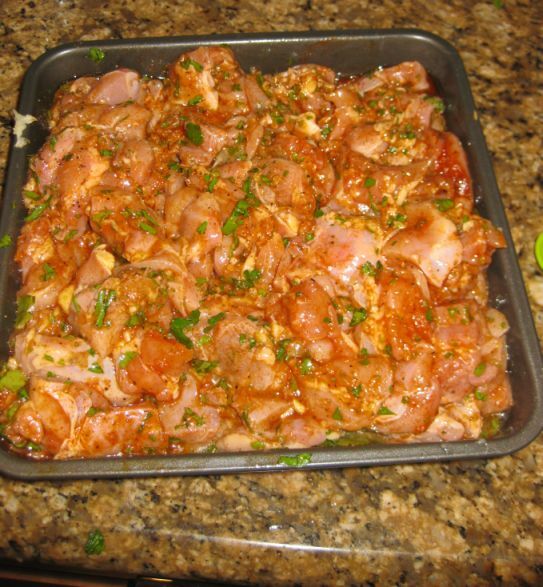 I love lamb but unfortunately not everyone can eat lamb so I am have to also prepare Chicken as an alternative just in case my guests can not eat lamb. 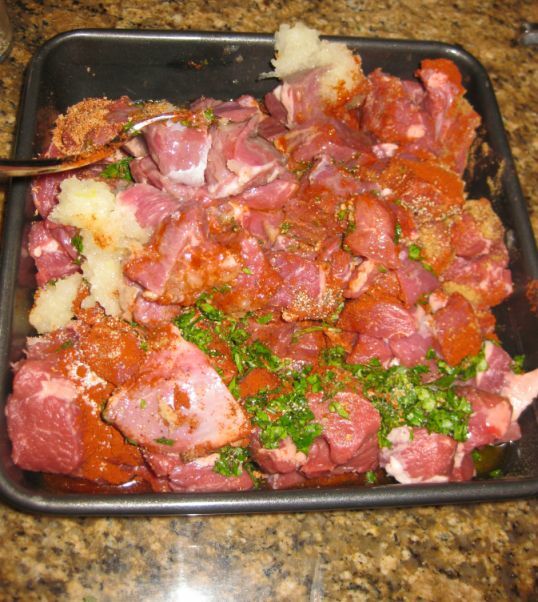 Make sure to marinate the meat overnight so it soak in all the marinade. 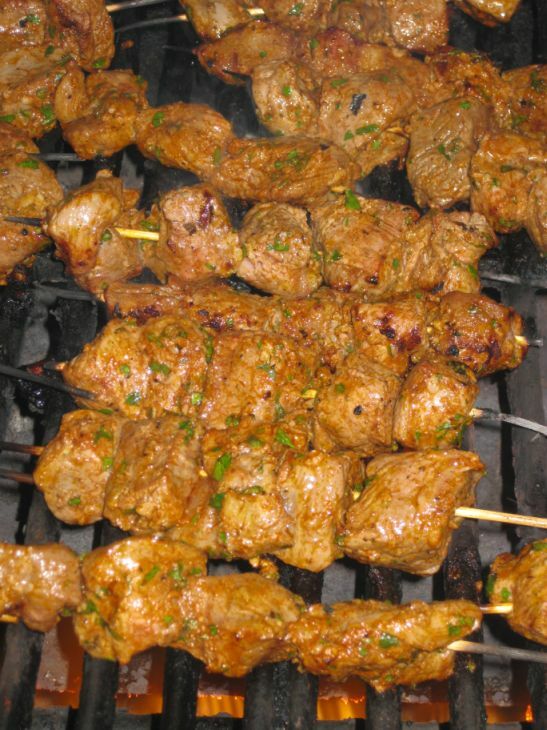 The ingredients in the marinade really mellowed the taste of the lamb and it turns out all my guests enjoyed the lamb. The chicken was also excellent! Putting the lamb on the grill. I told Hoa to crank up the heat so that the outside layer of the meat is bit charred. Close look at the BBQ chicken. I used brown meat so no matter what the meat is always juicy! Putting the chicken on the grill. Chicken do take longer to grill so I asked Hoa to grill the chicken first and then I cover the meat and put it in the oven at 200 degrees so it stays warm. 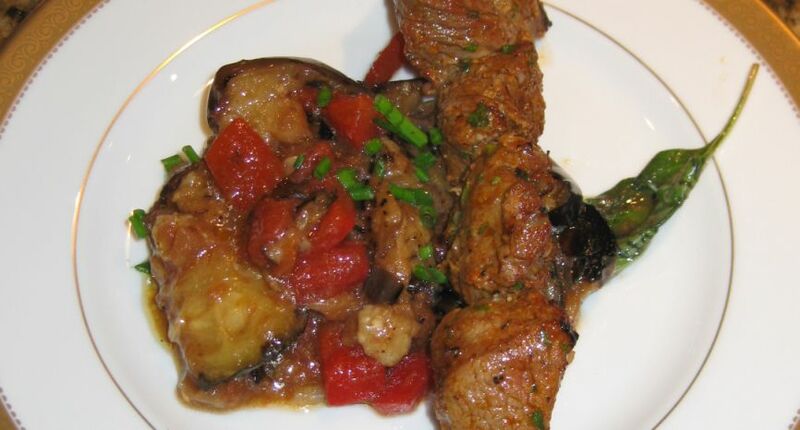 I served the BBQ Lamb with ratatouille! Looks so good! 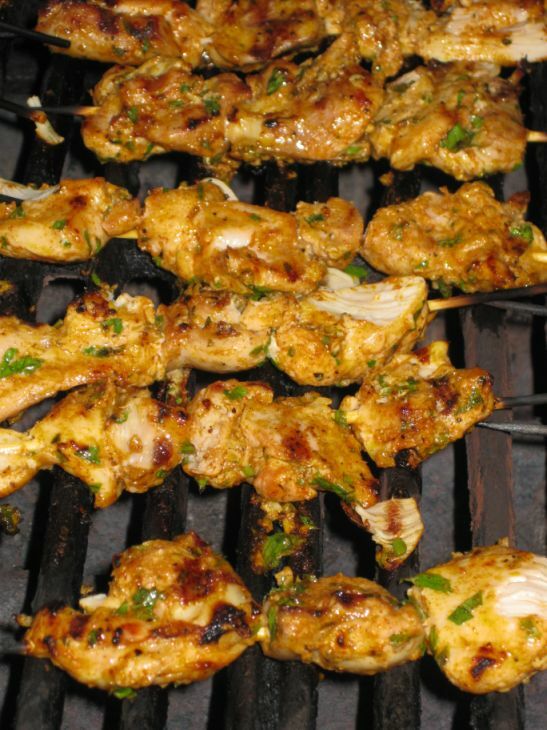 The marinade is so good and so tasty! 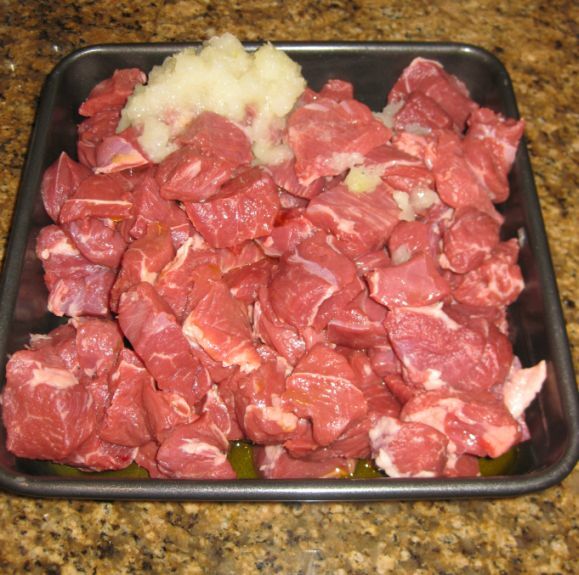 Throw away the fatty layer and cut the leg of lamb into cube. 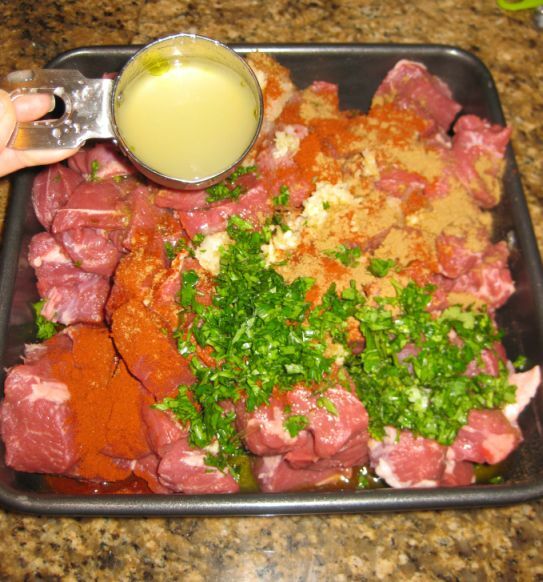 Put the meat into a container and put all of the ingredients on top of the meat. With a spoon work the ingredients into the meat. Cover and refrigerate for at least 2 hours but it is better overnight. 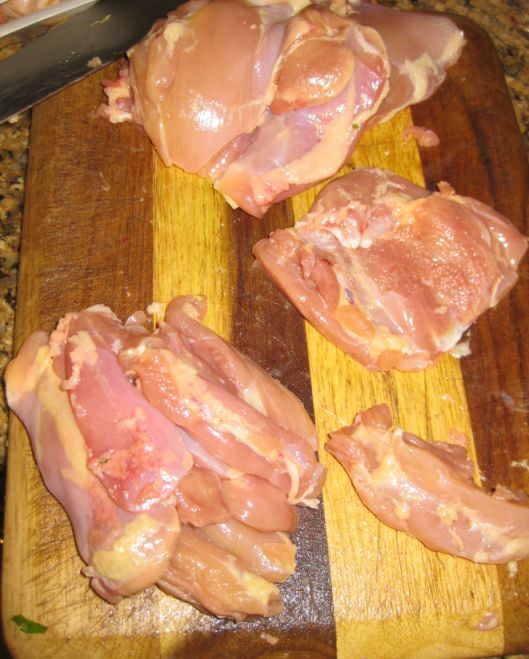 Cut the chicken into strip first and then into cubes. Put the all the ingredients in the pan and mixed it well together. 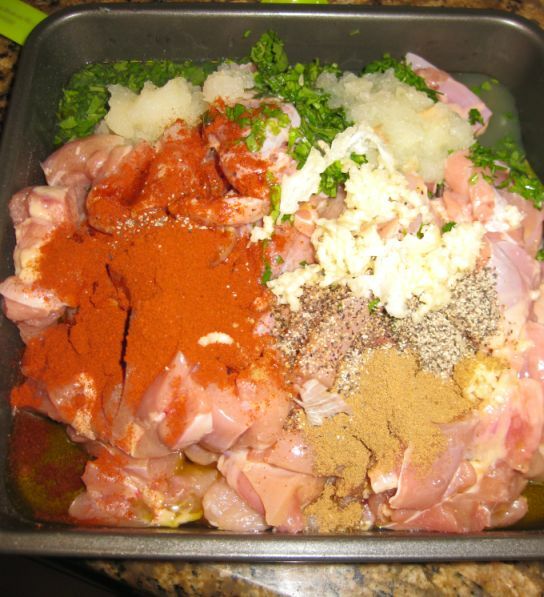 Once all the ingredients are well mixed, cover the pan and refrigerate overnight. 2 hours before you are ready to grill the meat. 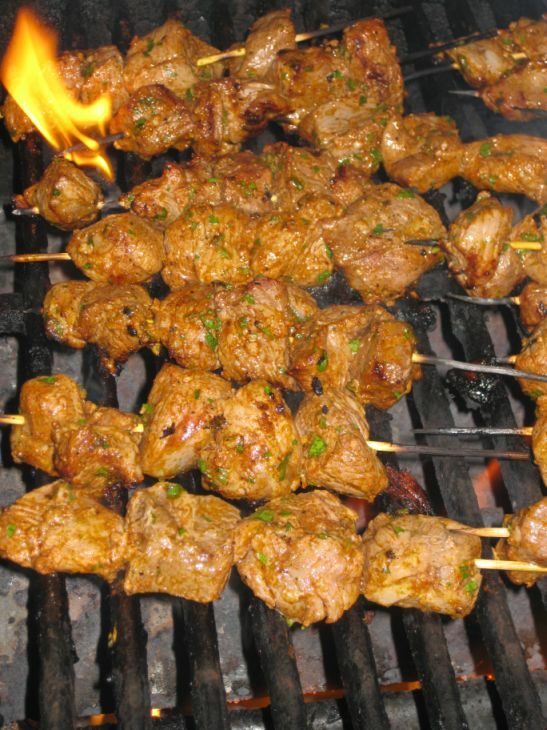 Remove the meat from the refrigerator and skewer the meat. Leave it out at room temperature so it is easier to grill. Hoa is the grill master so he knows how to cook chicken. Just make sure the chicken is cooked. The chicken has a nice char on top and the meat is cooked! Next the lamb is grilled on very temperature. I like my lamb to be medium rare or even rare.